Photo by Tom Doyle. 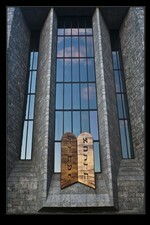 The Jewish Chapel at West Point. The tJewish Chapel at West Point on Sunday morning by Tom Doyle.